“I only tell the truth. I never wrap it up with anything else and it’s certainly never flowery.” Eddie Hemmings begins our interview in typical fashion and I’ve come to expect nothing less. I’m proud to say I played with him - in his final year at Notts and later at Caythorpe Cricket Club, long after his retirement from professional cricket - and I watched him during the Eighties, whirling away at Trent Bridge while Rice and Hadlee terrorised batsmen at the other end. Eddie's statistics in the game are incredible. He played in nearly 1,000 professional matches in total for Warwickshire, Notts and England, taking 1,968 wickets from 123,180 deliveries. Like I said, incredible. And the man behind the figures is no less remarkable. I bumped into Eddie in the squash club reception in August 1992 just after I’d been signed by the club as an up and coming spin bowler, and he, conversely, had been let go. My head bowed instantly as a mark of respect and bracing myself for what might have been a prickly encounter. Eddie grabbed my hand, shook it and looked me straight in the eye. “Good luck son, all the very best to you,” he said before heading out of the door. It was a fantastic gesture from him that has stuck in my memory. As I've since learned, that this was Eddie all over – he always made an impression. “I had a 'goodish' season but can’t remember what I did (he took 82 first-class wickets that year)." That impression would manifest itself in many different ways during my time under his guidance as bowling coach at Notts in the mid-1990’s. Looking back now, I was damaged goods well before Eddie arrived, struggling with form, technique and that vital ingredient, confidence. To his eternal credit, Eddie tried everything, from tinkering with technique on a freezing winter morning in the Woodhead Hall where he would place a comforting arm around my shoulder, to yelling at me during a game, chastising me until he was blue in the face. It was all designed to jolt me out of my unfortunate malaise but alas was not to be. The other bowlers certainly profited from his experience, and as a unit significantly improved the number of bowling bonus points garnered compared to the previous season. And that experience was considerable – particularly when you consider his career at Notts. The success of the Eighties is now written into Nottinghamshire folklore, although Hemmings speaks very matter of factly about the era. “The Championship triumph in 1981 involved a lot of travelling and a lot of hard cricket,” Hemmings said. The Lord’s Final proved a good example of this in 1987. Rain meant that the match went into the following Monday and Hemmings picks up the story:“I didn’t think we could win it but it was all down to how Bruce French attacked when he went in. He produced an absolute gem of an innings and I think he spurred Richard Hadlee on to do what he did. During that time, Nottingham Forest were also enjoying unprecedented success and Hemmings would often chat to legendary manager Brian Clough about how to get the best out of players. “Clough would say that if his team had had a bad game, that he wouldn’t get them straight back onto the training ground to do it 10 times more because they’d still be thinking about their failings. That was advice that I personally didn’t heed – as Eddie had told me to go to New Zealand one winter and play just as a batsman to free my mind up on the bowling front. I couldn’t bear the thought of not bowling and did spend a winter in the Southern Hemisphere but blindly carried on bowling in an ill-fated attempt to rediscover some form. It was not to be. 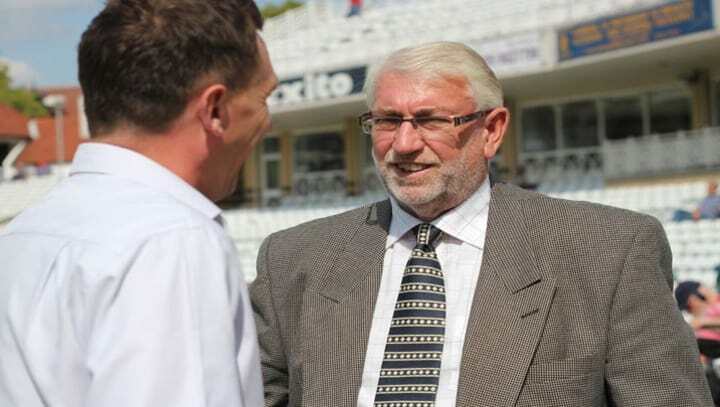 Hopefully the players of today have more sense to listen to Eddie in his role under another Notts off spinner, Peter Such, who now works for the ECB in the spin bowling department. Eddie has been scouting young spin bowlers in first-class cricket and drawing up a short-list of names he thinks should be considered to move up into the Lions squad and beyond. This marks a welcome return to the professional game for a man who’s playing career spanned four decades, and guarantees that he will be making an impression in professional cricket for years to come.